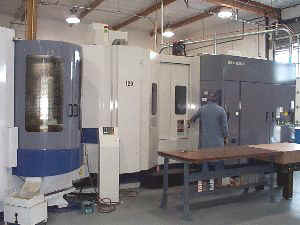 Monroe Machine Products currently has three Mori Seiki Horizontal CNC milling machines, all with Fanuc controls. The MH-50 has two pallets and holds 40 tools. 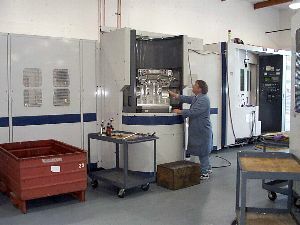 Purchased in 1998, the MH-630 has a 11 station pallet pool with capacity to hold 180 tools. 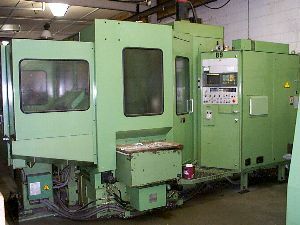 This is a large machine designed to machine hard metals, with the capability to machine larger parts and castings. The SH-630 is a high speed horizontal mill equipped with 8 pallets, 180 tool magazine, and a 10,000 rpm spindle, making it a excellent machine for high speed precision aluminum machining. Equipped with 8 station pallet changer. Through spindle Hi Pressure Coolant.